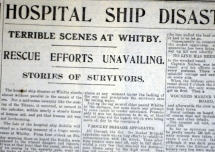 WHITBY’S Rohilla disaster is set to feature heavily on an upcoming episode of the BBC’s popular documentary, Coast. Local historian and diver Colin Brittain has been heavily involved with bringing the programme to Whitby since he first learned they were interested in investigating the Rohilla shipwreck of 1914. Mr Brittain has written a book about the Rohilla tragedy, Into the Maelstrom – the Wreck of the Rohilla, and was contacted by the BBC in April. He said: I received an email from Peter Taylor, a researcher with the BBC Coast programme. 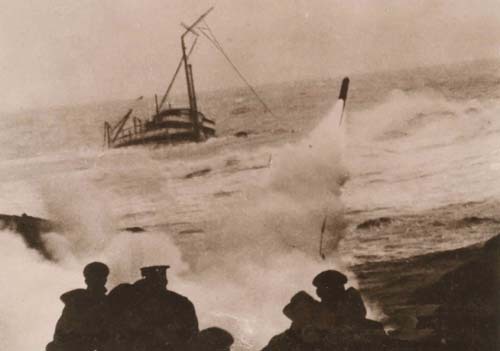 Plans for the show include filming around the wreck site, interviewing the families of those involved, and featuring the William Riley, which was hauled six miles over the cliff tops and lowered down sheer cliffs to the shoreline where the Rohilla was aground. Mr Brittain has been involved with the programme every step of the way and he said: “Peter Taylor telephoned me and we discussed in great detail the story of the Rohilla’s loss. “Peter was suitably impressed and agreed that there was far more to go on than he initially thought. Mr Brittain was able to put the BBC in touch with the families of those involved, including the descendents of Mary Roberts, who returned to her role as a stewardess despite surviving two traumatic shipwrecks. The Rohilla had been on its way from Leith to Dunkirk, where it was to take part in the evacuation of British soldiers. On 30 October the vessel hit Whitby Rock, 600m off Saltwick, with the loss of 85 lives. 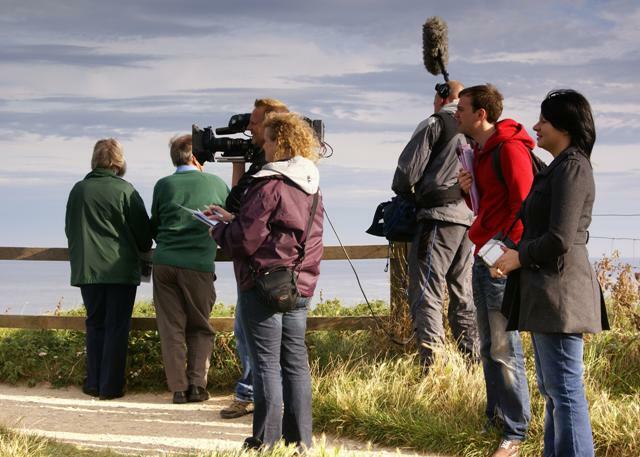 Filming for the BBC’s Coast is expected to take place on the week beginning 12 September. Note: The dates of the film actually changed to the 26th and 27th September.